It is likely that the Senate will use Tuesday’s House-passed bill as a vehicle to pass the budget agreement. However, passage is not assured in the House. Fiscal conservatives will balk at the spending increases, while many Democratic members, including House Minority Leader Nancy Pelosi (D-CA), threaten to oppose any deal that does not include—or get a firm commitment from Speaker Paul Ryan (R-WI) to take quick action on—a permanent solution for undocumented immigrants who were brought into the country as children, often referred to as Dreamers. The immigration piece of this package will likely be tougher to solve as “The White House signaled little flexibility on immigration on Tuesday, saying lawmakers must pass a bill on President Donald Trump’s terms and offering no relief on the tight timeline for Congress.” Sen. McConnell previously promised his chamber debate on legislation to protect Dreamers if the government was reopened three weeks ago and the government remained open—through the passage of another CR or long-term spending bill—after Feb. 8. Under these pay-for-success programs, state/local government agencies—in cooperation with local service providers—seek private investments (including from philanthropy) to fund the upfront cost of an innovative approach to providing social services. Throughout the project’s duration, it is reviewed by independent evaluators. If pre-determined success metrics are met, then the private investors are repaid (with interest) by the responsible government agency—where the repayment is funded by the cost-savings to the government under the innovative approach. This model has been touted as an innovative way to provide scalable funding to service organizations—for which philanthropic capital can be deployed in a number of ways, including: as an investment in the project, as a guarantee to attract other investors, as operating support for service providers, or as grants to fund evaluation. The pay-for-success measure that passed with the House CR was introduced as the Social Impact Partnerships to Pay for Results Act (H.R. 576) early in this Congress by then-Representative Pat Tiberi (R-OH), and has since been championed by Ways and Means Committee member Jackie Walorski (R-IN), along with a myriad of other original cosponsors from both sides of the aisle. Shortly after this bill was introduced in the House, a companion bill was introduced in the Senate (S. 963) by Sen. Todd Young (R-IN), along with Sens. Michael Bennet (D-CO), Susan Collins (R-ME), and Cory Booker (D-NJ). This provision was also included in the Senate bill that was released yesterday, so it remains to be seen if it will survive as a part of whatever legislation ends up being signed into law. Both Treasury Secretary Steven Mnuchin and Acting IRS Commissioner David Kautter will testify at the hearing. Yesterday, the U.S. Department of Treasury and IRS released their second quarter update to the 2017-18 Priority Guidance, which was first released in October 2017. The priority guidance plan identifies and prioritizes tax issues that the agency aims to address through regulations or revenue rulings, revenue procedures, notices, and guidance throughout the upcoming year. The Council is examining these three points and will provide more information as it becomes available. If you have questions or comments about this, please email us at govt@cof.org. With forty-one legislatures back in session (as of today), legislation introduced across the country could help and harm nonprofits. 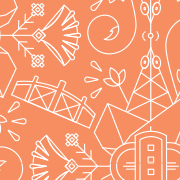 First the good news; a bill in Colorado seeks to provide relief to some religious organizations by eliminating ownership as a requirement to qualify for the tax exemption for property that is used solely and exclusively for religious purposes. The Church Property Tax Fairness Act reportedly is aimed at helping start-up churches that rent facilities before they can afford to build their own sanctuaries. A Kentucky bill would add language clarifying that residents of senior living communities owned by a purely public charity using income to further the mission of the organization should also be exempted from property tax payments. The issue is moving simultaneously with a lawsuit making its way through the Commonwealth courts. If not addressed statutorily, the door could be open to threats to property and other tax exemptions in the Bluegrass State. Less favorable, Nebraska’s Governor is proposing a refundable tax credit for property tax payments and the repeal of the personal property tax exemption. Nonprofits are concerned that the proposal would further exacerbate budget woes in the state, which will place additional pressures on charitable organizations to provide services without additional funding and perhaps placing nonprofit property tax exemption at risk in the future. Shortly after Kentucky Governor Bevin received federal approval for a Medicaid waiver that includes a work requirement, he signed a preemptive executive order directing termination of the Commonwealth’s Medicaid expansion program affecting more than 400,000 persons should the work requirement or other provision be successfully challenged in court. His preemptive action did not ward off legal challenge as three nonprofits, the Southern Poverty Law Center, the National Health Law Program, and the Kentucky Equal Justice Center, recently filed a lawsuit against the U.S. Department of Health and Human Services (HHS) challenging the waiver based on inclusion of the work requirement. Medicaid, unlike other social services, is solely designed to provide health services and cannot be used to impose work or volunteer requirements, the plaintiffs assert. The lawsuit focuses on the scope of HHS’s authority, alleging that “authorization of work and community engagement requirements is categorically outside the scope.” Kentucky is one of ten states that have asked for work or volunteer requirements for Medicaid beneficiaries. Indiana received approval last week to require recipients to work or volunteer at least 20 hours per week. 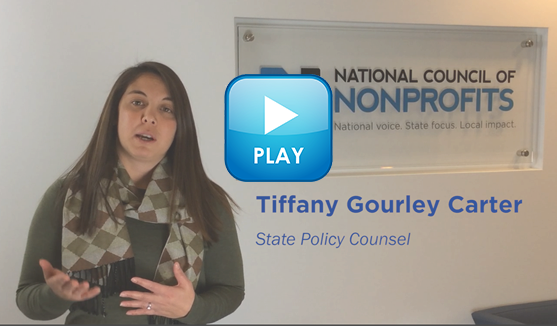 Tiffany Gourley Carter of the National Council of Nonprofits explains the dangers of mandatory volunteerism as a requirement for Medicaid eligibility in this new video. More detail on mandatory volunteerism and its effects on nonprofits can be found in the blog, "Don’t Take Away the Commitment to Giving Back."